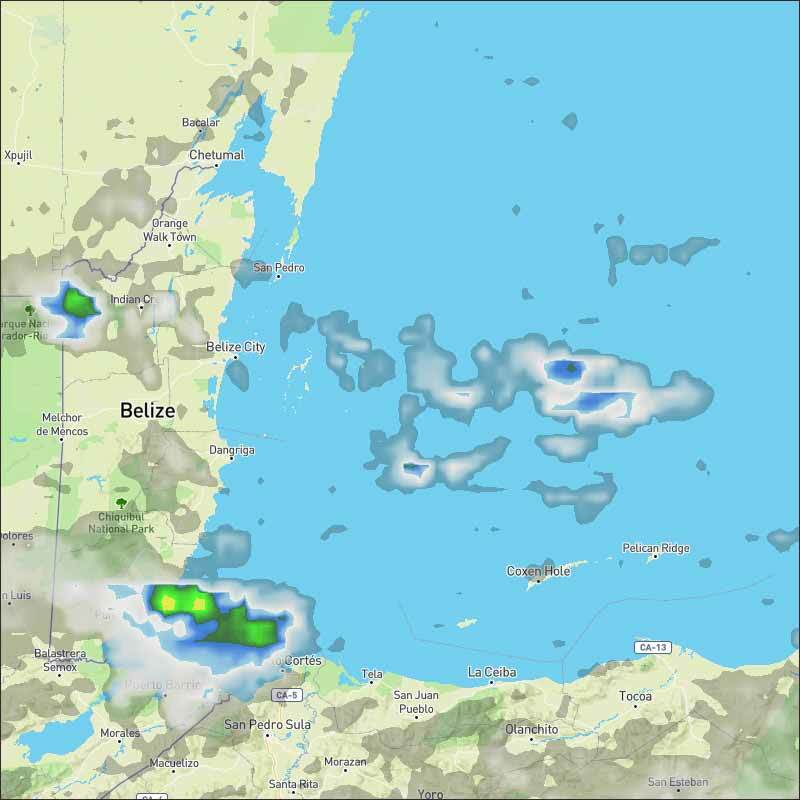 Belize NMS: A light east-northeasterly airflow will continue to dominate our weather. 24-hour forecast: Sunny skies with a few cloudy spells today and cloudy spells tonight. Showers or thunderstorms will be generally isolated, except for a few more over central areas today and over the south tonight. General Outlook: Mainly fair weather with only isolated showers or thunderstorms during Sunday then some cloudy spells with a few showers or an isolated thunderstorm over southern areas Sunday night. 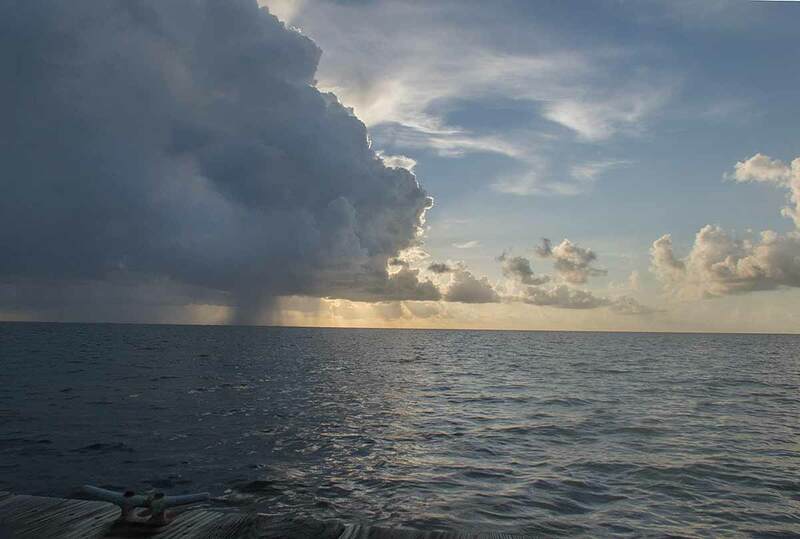 Today E-NE 5-15 kts Slight-Light Chop 1-3 ft ISOLATED SHOWERS OR ISOLATED THUNDERSTORMS. Tonight E-NE 5-15 kts Slight-Light Chop 2-4 ft FEW SHOWERS OR ISOLATED THUNDERSTORMS MOSTLY SOUTH. Tomorrow E-NE 5-10 kts Slight 1-3 ft ISOLATED SHOWERS OR ISOLATED THUNDERSTORMS. 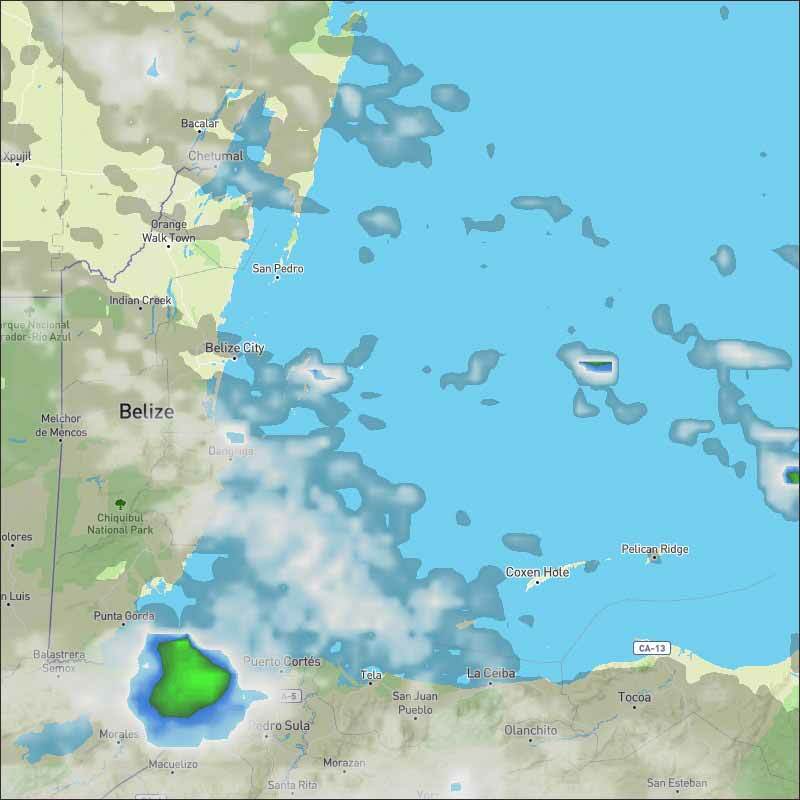 Outlook E-NE 5-10 kts Slight 1-3 ft FEW SHOWERS OR ISOLATED THUNDERSTORMS MOSTLY SOUTH. The remnants of Kirk is now a tropical wave with a gale area. See the Special Features section above. Another tropical wave is moving across the western Caribbean Sea. See the Tropical Wave section for details. Recent scatterometer data indicate generally easterly moderate breeze or weaker winds ahead of the remnants of Kirk, except for an outflow boundary enhancement of winds to 25 kt in the southwestern Caribbean Sea. Expect mainly moderate to fresh winds through early next week. Large northerly swell associated with Leslie will affect the tropical Atlantic waters tonight through Sunday, building seas to 10 or 11 ft.
On Ambergris Caye this morning we have more tropical showers and a wind from the East-NE at 9 mph. The sea around our barrier reef is calm. 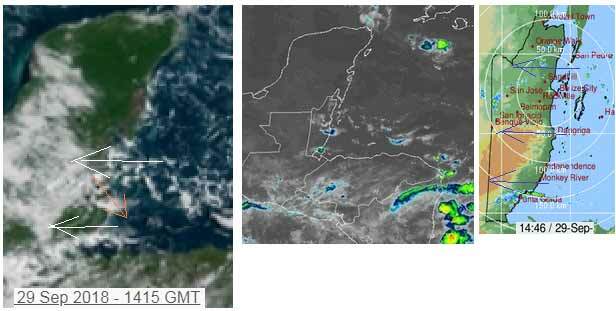 Today's expected high temperature is 88 f.
The same pattern continuing, chunky Caribbean clouds from the east, with scattered rain showers, presently only a little high level from the NW. More sunshine around today, than recently. Looks like similar to yesterday, scattered rain showers anywhere at any time, increasing cloud, but a fair amount of sunshine between the clouds and rain.